Yunnan is the province with the largest population of minorities with 25 of them having more than 5000 members, among them 16 are indigenous (including Bai, Dai, Naxi, Hani, Lisu, Lahu, Wa, Jingpo, Bulang, Pumi, Achang, Nu, Jinuo, De’ang, Durung, etc.). 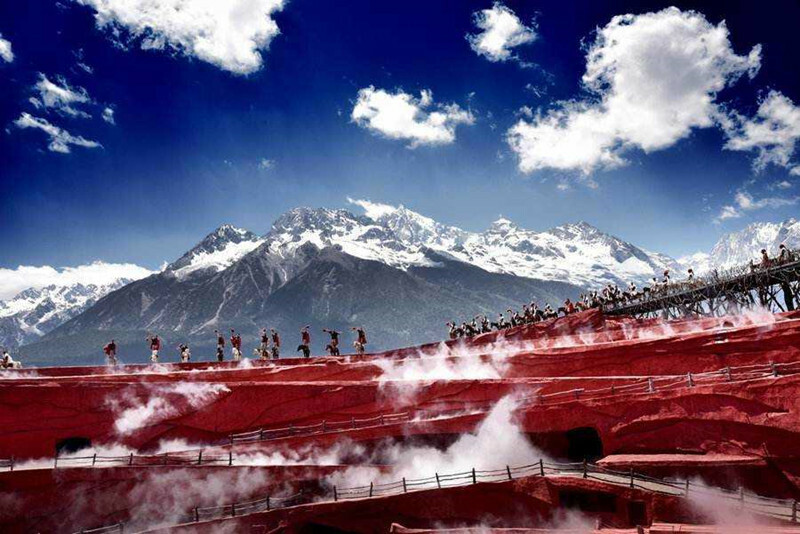 During this tour, we will explore the ethnic groups in Yunnan, as well as discover the natural beauty along the journey. Discover the natural beauty of Yunnan: Stone Forest, Erhai Lake, Shangri-La, etc. Visit the must-see attractions to learn more about the local history and culture. Airport-Hotel transfer. If time allows, wander at the Green Lake Park and enjoy the local dancing and singing. After breakfast, head to visit the Qiongzhu Temple. Located on wooded Yu’an Mountain and surrounded by verdant plants, the temple is famous for exhibiting five hundreds painted arhat sculptures. Then continue the tour to Stone Forest, a notable set of limestone formations and two parts of which have been UNESCO World Heritage Sites as part of the South China Karst. Besides, Stone Forest is also famous for the ethnic culture of the Sani People (a branch of the Yi ethnicminority). After the visit, drive back to Kunming city. Today, take a morning flight to Dali. After airport-hotel transfer, head to visit Erhai Lake Park, the best place to appreciate the beautiful Erhai Lake scenery. Then move on to Three Pagodas of the Chongsheng Temple, a symbol of the Dali City. The last stop is Dali Old Town. Wander around the streets to experience the local culture and have some local snacks. Located between Cangshan Mountain and Erhai Lake, Dali Old Town is a historic town with rich culture, which attracts many visitors every year. In the morning, drive about 3-4 hours to Lijiang. On the way, pay a visit to the Bai Minority Traditional Houses in Xizhou, which is the place where the best and most of Bai Minority Traditional Houses are preserved. Then move on to Zhoucheng nearby and visit the traditional hand-made Tie Dyeing. Upon arrival in Lijiang, check in the hotel and have a short rest. Then visit the Square Street of Lijiang Old Town paved by local bluestones and with numerous souvenir shops around. With a history of more than 800 years, Lijiang Old Town was listed as the World Cultural Heritage Site by the UNESCO in 1997. In the morning, pay a visit to Baisha Old Town and a local Naxi family. Baisha, the former political, economic and religious center of Lijiang, is famous for the murals and the old town built about 600 years ago. Then continue the trip to visit Baisha Murals, a wonderful art form of minorities in west Yunnan. Afterwards pay a visit to the Former Residence of Dr. Joseph Rock in Yuhu village at the foot of Jade Dragon Snow Mountain, who traveled to Lijiang in 1922 and was known for his study on Dongba culture of Naxi minority group. Finally, visit the Black Dragon Pool Park and the Dongba Cultural Museum. By visiting this museum, learn more about Dongba culture preserved by Naxi People. Today, drive about 4-5 hours from Lijiang to Shangri-La. Along the way, visit the First Bend of Yangtze River, and continue the trip to Tiger Leaping Gorge, which is one of the deepest gorges in the world. Upon arrival at Shangri-La, check in the hotel. After breakfast, visit Songzanlin Monastery (Ganden Sumtseling Monastery), reputed as the “Little Potala Palace”. 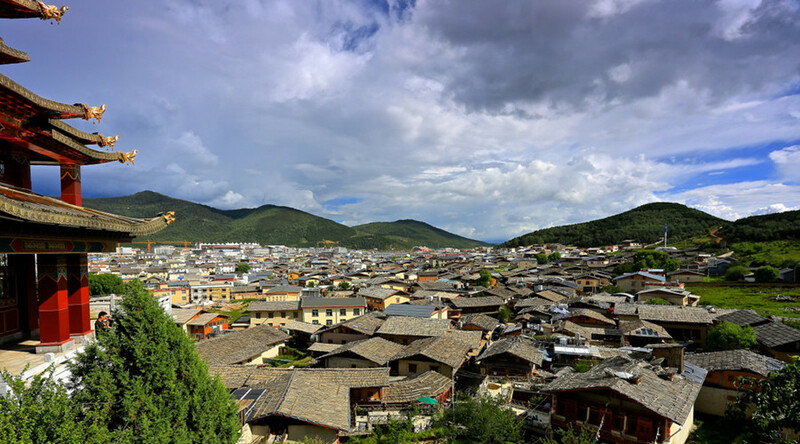 Established by the Fifth Dalai Lama in 1679, the monastery belongs to Gelug sect of Buddhism, and it is also the largest Buddhist monastery in Yunnan Province with around 600 monks. Then, drive to the first national park in China – Pudacuo National Park which is mainly comprised of Shudu Lake, Militang Grassland, Bita Lake. Shudu Lake is a famous pasture, herds of yak and goat grazing beside the lake. Militang Grassland is located between Shudu Lake and Bita Lake with lush grass in meadow. Bitahai Lake, regarded as a pearl of the Plateau, is an intact natural attraction with outstanding landscapes. Take a morning flight to Kunming. 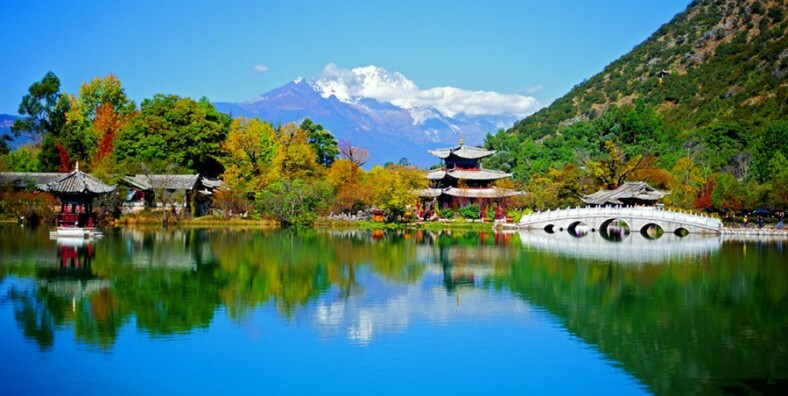 After airport-hotel transfer, visit the Golden Temple, a well-known Taoist temple of Yunnan. Then move on to Daguan Park, one of the ten most famous pavilions in China. The last stop is Flowers and Birds Market, a comprehensive public spot for leisure. Explore this city at leisure until being escorted to the airport for your departure flight. Service ends.